Wow, it’s been 100 days since I’ve started my instagram 100 days journey. A few things have happened since the start of my project. 1. I’ve realized confirmed that there is always one moment in each and every day that you can stop and enjoy. It can be as small as the look my dog gives me when I come home after a long day; the fresh peach I eat for a snack, the way the sunlight comes through the window and lights up the room; or the sight of my husband. Over the last 100 days, I have had (and will always have) some terrible ones, but finding the light in the madness is so important and uplifting. In this world where many live with very little, and where I have been blessed with plenty, it really is the moments each day that fill my heart with happiness. 2. I’ve managed to post a photo to instagram every day – no misses! There was a close call as I was posting at 11:30 PM one night recently and instagram would not load… but I got it to post just in time. It was a fun challenge to find an interesting, different moment each day, and have this goal of 100 to work towards. And while I really enjoyed finding and sharing (and capturing and editing) that moment every day, I’m not going to continue to post as much. I will, however, make sure to find my happy moment (or moments) on my own, every day. It’s become sort of a habit anyway. 3. We have purchased, and moved into, our first home! What started in February of this year as a full fledged house hunting mission ended with the perfect home for us. There were some ups and downs along the way. Three rejected offers, countless miles in our cars and fighting our way through packed open houses was a much tougher journey than we anticipated. There were definitely some fun moments, but house hunting (and purchasing) is a long, confusing, stressful process. I’m glad we’re done. This is the third (and hopefully last for a while) time that Jake and I have moved together. He does most of the packing; I do most of the unpacking. It works out perfect. 🙂 We love our home and Bear loves the backyard. It’s been about 2 weeks here and we are almost all settled in. Photos to come. 4. And in maybe the biggest news… Jake and I have decided to share our world with someone else. And while Bear has been our baby for almost 3 years, we decided we needed a human baby to tend to as well. 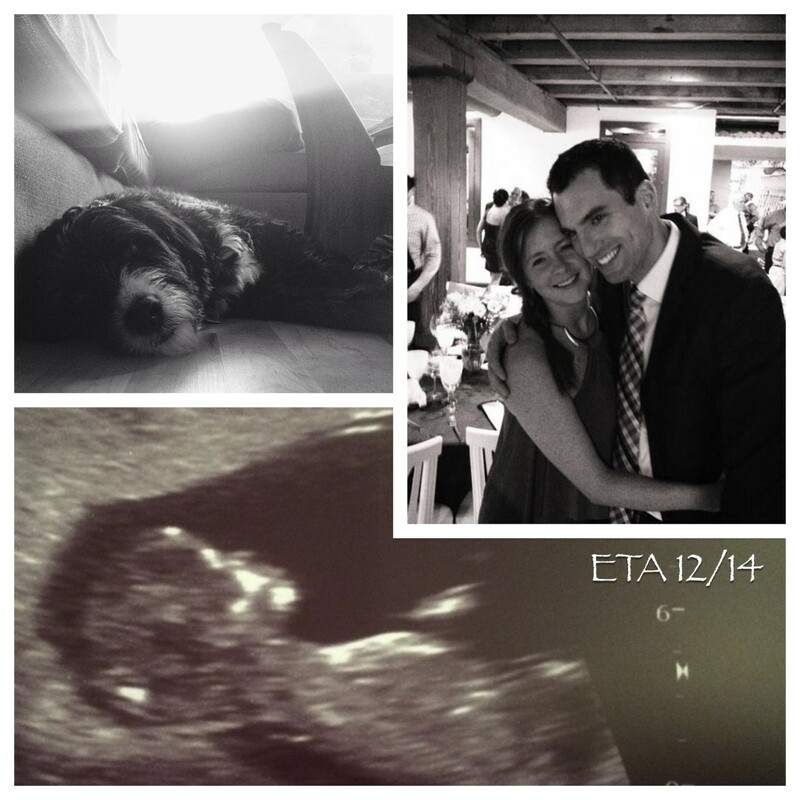 So arriving mid-December 2014 will be baby Feldman! We are so excited to show this little one the world. Posted in Uncategorized on June 26, 2014 by jiperry. © Jillian Perry and The Sweet Script, 2015. All content is copyright and owned by Jillian Perry and The Sweet Script unless otherwise stated.